LAST FRIDAY, I LISTENED TO an episode of Dr. Sanjay Gupta’s show on CNN, “Vital Signs“, in which he speaks with locals about the success in launching a polio vaccination campaign. Polio has been a real problem in Nigeria, where local customs have made the adoption of vaccinations difficult. Anything foreign can be made to be seen as a threat, and suspicions run deep. To eradicate polio in Nigeria, Sanjay says, a remaining 3 million children must be vaccinated. The statistics on polio in Nigeria? Zero (0) cases in three years (WHO/INT). Nigeria has been removed from WHO’s list of three countries in which polio in endemic. Is it coincidence that CNN ran this story on the same day as the public was protesting vaccine safety research fraud at the CDC? Most importantly, I could not help wondering, while polio is certainly worth eradicating, once vaccines become more widespread over the next five years due to the success of this program, what will happen to autism rates in Nigerian children over the next five years? Autism rates in Nigeria were 0.7% three decades ago (Bakare et al., 2012). In 1970, autism rates in the US were also very low – 1 in 2500. As the CDC added more and more vaccines to the pediatric schedule, the rates increased. Although thimerosal was removed from pediatric vaccines in 2001, the schedule was also shifted simultaneously to include infants aged 0 – 3 years. Historically, vaccines were avoided in infants. So, although the removal of thimerosal should have reduced the incidence of autism, ADHD, and related outcomes, the dosage of aluminum, another neurotoxin, was increased at an age when brain developmental processes should be most protected. Further, thimerosal is still be used in vaccines used in developing countries. Autism rates are now 1 in 68 in the US – some estimate have it as high as 1 in 50. The increased from 1 in 2500 to 1 in 68 cannot be explained by improved diagnosis, nor can it be explained by the DSM-V lumping of many conditions other the “Austism Spectrum Disorder”. The type of autism driving the increase over this time was regressive autism – all but removed from the DSM-V and replaced with “childhood disintegrative disorder”. One type of autism, Rett Syndrome, was removed from the spectrum altogether because the molecular etiology was known. Unfortuntely, only some, but not all of children with Rett Syndrome have mutations in the gene that has been shown to cause Rett Syndrome. And merely because a disease has a genetic component does not absolve the environment. We do not re-name breast cancer cases as something other than breast cancer when a gene is found that contributes to the risk of breast cancer. Two very large studies have also determined that genetics and environment contribute more or less equally to the risk of autism. A breakdown of concordance rate by gender in the study also indicates room for environmental factors. Male identical twins showed 77% concordance, while identical twins showed 50% for female identical twins. The rates among fraternal twins were 31% for male pairs and 36% for female pairs (Hallmayer et al., 2011). Compared to the proportion of liability explained by genetics for “strict” autism (37%) and for ASD (38%), a much larger proportion of causal influences was found for shared environmental factors (55% for autism and 58% for ASD). These results suggest that a good deal of research focus on environmental factors is needed. A much larger study (Sandin, 2014) involving 2,049,973 Swedish children (born 1982 through 2006) included 37,570 twin pairs, 2,642,064 full sibling pairs, 432,281 maternal and 445,531 paternal half sibling pairs estimated heritability of autism at 50% and ASD at 54%. They found that individuals with an autistic sibling has a cumulative probability of an ASD diagnosis at age 20 of 13%, compared with 1.2% for individuals without an ASD sibling. Concordance (estimated by a tetrachoric model) was found to be 54% for identical twins, 25% for fraternal twins, 11% for siblings. 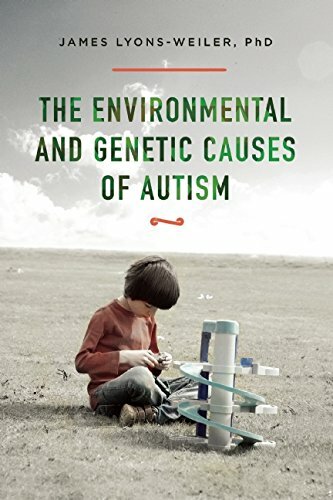 Much more on that when I finish my book, “Genetic and Environmental Causes of Autism”. Either way, genetics also cannot explain the increase – gene frequencies do not change in less than 1/2 of a human generation – and thus we are stuck looking for a plausible explanation. There is an immense body of literature supporting autism-like features developing in animal studies – and flaws in the most recent studies showing no effect of thimerosal. A recent study in Proc. Nat. Acad. Sci. in which a handful of macaques were dosed with thimerosal equaling the 2013 pediatric schedule was woefully underpowered (i.e., did not a large enough sample size) to detect an adverse event effecting less than 2% of the population with a diverse component of genetic risk. The immense body of knowledge demonstrating both thimerosal and aluminum as neurotoxins can no longer be ignored (see “Thimerosal: Let the Science Speak“). The vaccination program in Nigeria is an uncontrolled experiment. Rates of autism are cited as high as 1 in 88. I predict that autism rates will increase even further as a result of the increase vaccinations to come, as more children are vaccinated there given the push to popularize vaccines. This prediction is being made on October 26, 2015 based on the fact that the CDC found a 240% increase in the risk of autism due to vaccinations, but omitted the results from their study (so says Dr. William Thompson of the CDC). They also removed from the manuscript the result indicating increased risk for idiopathic autism due to vaccines (source: Dr. William Thompson, CDC). If, by October 2020, the autism rates in Nigeria increase from 1 in 50 to 1 in 25, or 1 in 15, or 1 in 10, then no one can say it was not vaccines. Oh, and let’s not forget that autism rates are still increasing in the US. We have a choice to make in terms of vaccine safety research. We can either reform vaccine research at the CDC, or we can allow them to perform another uncontrolled experiment on a trusting, unwitting population. In 2015, I created IPAK – the Institute for Pure and Applied Knowledge. IPAK performs research in a manner that is independent of profit motives. One of the Project Areas that IPAK was created to focus on is Vaccine Safety Science Reform. By “Reform” we mean hold CDC scientists to the same standards that non-CDC scientists are held. –Requiring independent peer review of study designs and data analysis plans before any CDC conducted or funded Vaccine Safety Research study is conducted. The rest of biomedical science is subjected to external, independent peer review, but the CDC does not have to have their research plans approved. They approve of their own research plans. 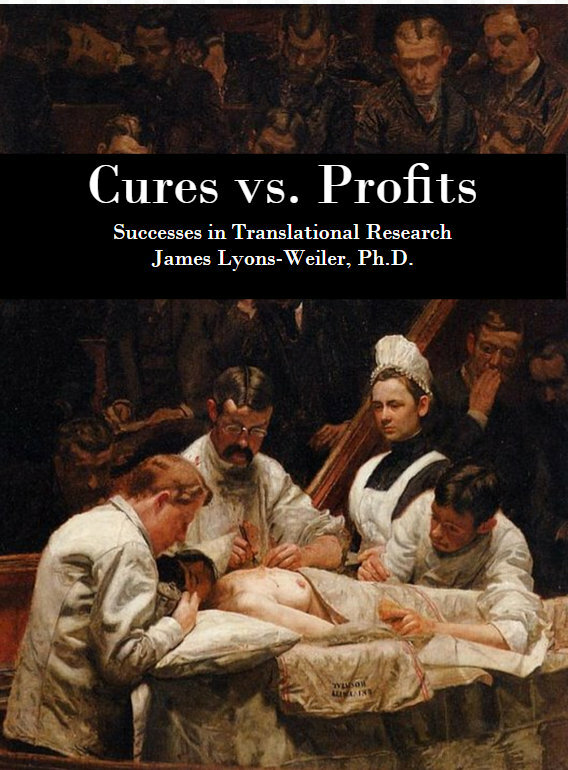 –Requiring 5 independent Universities to analysis the data from all Vaccine Safety Research Studies (3 by lottery, 2 by competitive research contracts). When the CDC’s self-approved data analysis plans lead to results that do not fit their policy that vaccines are safe, they change the plan, says Dr. William Thompson of the CDC (See “CDC Whistleblower“). –Requiring that the Vaccine Board be dismissed and replaced by MD’s and PhD’s with relevant background, nominated and elected by a Vaccine Safety Congress of parents of children injured by vaccines. One Vaccine Board director owned the patent for a vaccines, got it approved (via his own vote) and then sold the patent for millions. That would be Dr. Paul Offit, who made a mockery of rational discourse on vaccine safety by claiming that a baby could tolerate 100,000 vaccines at once. -Make it illegal for CDC, FDA, PHS, and NIH employees to obtain jobs in Pharma or any industry that would benefit from their policy making while employed by the Federal Government. Take Dr. Julie Gerberding, former Director of the CDC, who took a job at Merck after leaving the CDC. She recently sold over 38,368 shares of Merck stock, making a cool $2.3 million. Help IPAK work in this important area. Donate today. Your donation will allow us to focus on making these necessary reforms a reality. You will receive a copy of “Progressive Science”, and a one-year membership in the Society for Pure and Applied Knowledge as thank-you’s for your donation. Bakare MO, Ebigbo PO, Ubochi VN. 2012. Prevalence of autism spectrum disorder among Nigerian children with intellectual disability: a stopgap assessment. J Health Care Poor Underserved. 23(2):513-8. doi: 10.1353/hpu.2012.0056. Hallmayer J., et al. 2011. Genetic heritability and shared environmental factors among twin pairs with autism. Arch Gen Psychiatry. 68:1095-102. doi: 10.1001/archgenpsychiatry.2011.76. Sandin S, et al. 2014. The familial risk of autism. JAMA. 311(17):1770-7. doi: 10.1001/jama.2014.4144. Postscript: Please watch this interview by Sanjay and Julie as they spin the link between autism and vaccines years ago away from one of the most clear-cut cases of an environmental trigger interacting with a genetic predisposition. Especially when he says “Are we now ready to say there is no link” right after she said there was a link. Very sad, as if the correct interpretation was allowed, we could have prevented millions of vaccine-related brain injuries.